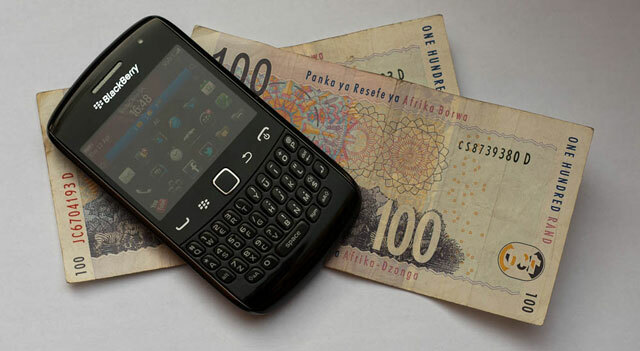 A new research study has found that SA has some of the least affordable prepaid mobile tariffs on the continent and is falling behind many of its neighbours because of high wholesale call rates between operators. The findings are contained in a Research ICT Africa policy brief, with research conducted over the past year. Among the 46 African countries surveyed, SA ranks a dismal 30th in terms of mobile pricing overall and 32nd when it comes to prepaid calls. According to the report, the cost of mobile services in countries such as Kenya, Mauritius, Egypt and even neighbouring Namibia — which was once on a par with SA — are a “fraction of even the lowest priced services in SA”. Prepaid tariffs in SA are more than three-and-a-half times more expensive than in Namibia. Despite the entrance of Telkom’s 8ta and a recently reinvigorated Cell C and both of these operators’ efforts to introduce cheaper rates, the report says prices have remained relatively unchanged in recent years and have settled around the levels set by the two big incumbents, Vodacom and MTN. Although Vodacom is the dominant player, it is by no means the cheapest, the research says. The report finds that MTN has “constantly been the most expensive in the low-user basket” with Vodacom in a constant second place. The “low-user basket” refers to consumers whose monthly spending on mobile is relatively low, typically below R100. “Mobile prepaid pricing in SA in the period January 2011 to January 2012 demonstrates that the dominant mobile operators, MTN and Vodacom, are sufficiently entrenched in the market so as not to be affected by the price-cutting efforts of Cell C and, most recently, 8ta,” the report says. Surprisingly, in countries such as Tanzania, Rwanda and Uganda — all of which rank above SA — the state-owned operators offer the cheapest rates, even though they aren’t the dominant players in the market. According to the report, lower mobile termination rates — the fees operators charge each other to carry calls onto the networks — have played a key role in reducing retail rates in many African markets. There is “overwhelming international evidence that the regulatory imposition of cost-based termination rates encourages competition and more affordable pricing” and that cost-based rates “remove market distortions and provide efficient investment incentives”. SA’s termination rates, which had been set at a relatively high R1,25/minute in peak times until a few years ago, have gradually been reduced by the telecommunications regulator, the Independent Communications Authority of SA (Icasa). They will reach 40c/minute in March 2013. Although the report commends Icasa for reducing call termination charges, it argues that next year’s 40c/minute target is still too high by international standards. It also criticises the lack of “pricing transparency” from mobile operators. “With more than 100 voice products currently on offer in the market, no SA consumer can readily determine the best-priced package for [their]purposes,” the report says.